Successfully Added M96X II Android TV Box - Amlogic CPU, 2GB RAM, 4K, Dual Band Wi-Fi, Android 7.1, Kodi to your Shopping Cart. 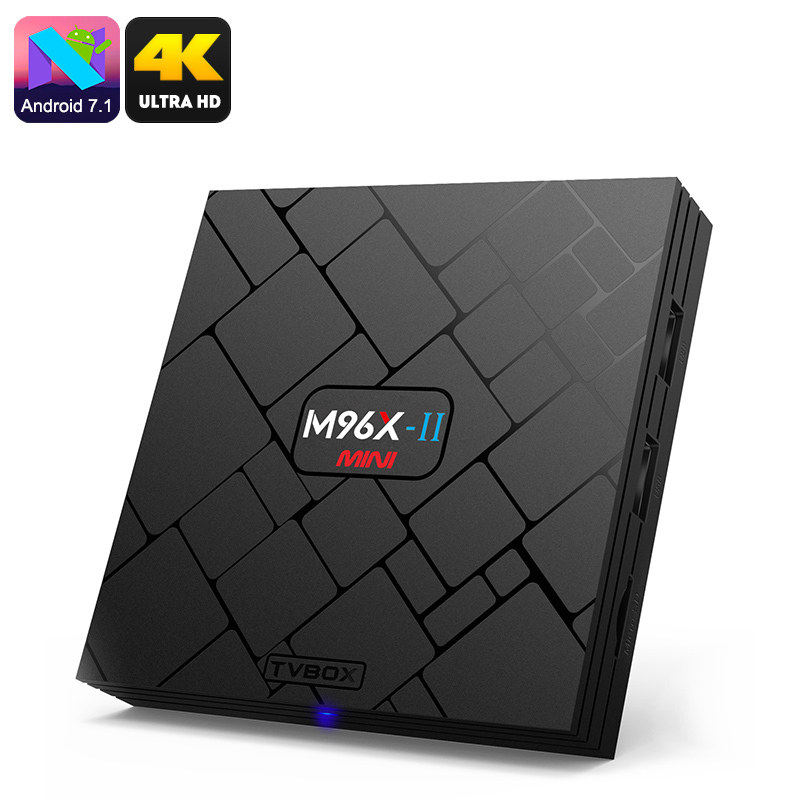 A top TV box with an elegant design the M96X - II is worthy of your attention. It features the Amlogic S905W chipset, this is a quad-core CPU clocked at 1.5GHz and one that supports 4K. It also has H.265 video decoding. What's all this mean? Basically, it is able to swiftly decoded highly compressed videos so you can enjoy awesome quality video from small files that are faster to stream or download and take up less storage space. Use this TV boxes' SPDIF to connect your speakers and turn it into a full media hub for all the family. You will also get a fantasist atmosphere for immersive gaming and create a thrilling home cinema experience. The Gigabit Ethernet port and dual-band 2.4GHz/5GHz Wi-Fi ensures you'll have fast internet connections whether you go wireless or not. Coming with Android 7.1 and having KODI Preinstalled its ready to serve your media and gaming needs right out of the box. The M96X - II TV box comes with 12 months warranty, brought to you by the leader in electronic devices as well as wholesale TV boxes and media players..